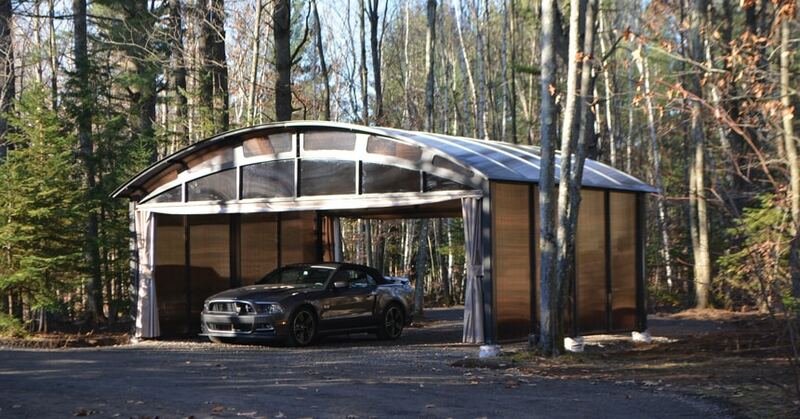 Built here to withstand our climate. 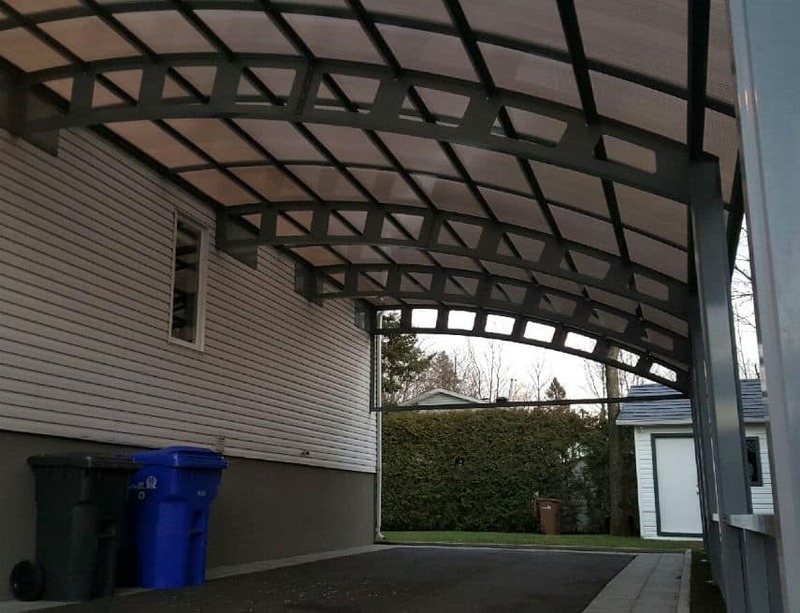 treated arches and features a unique curved shape. 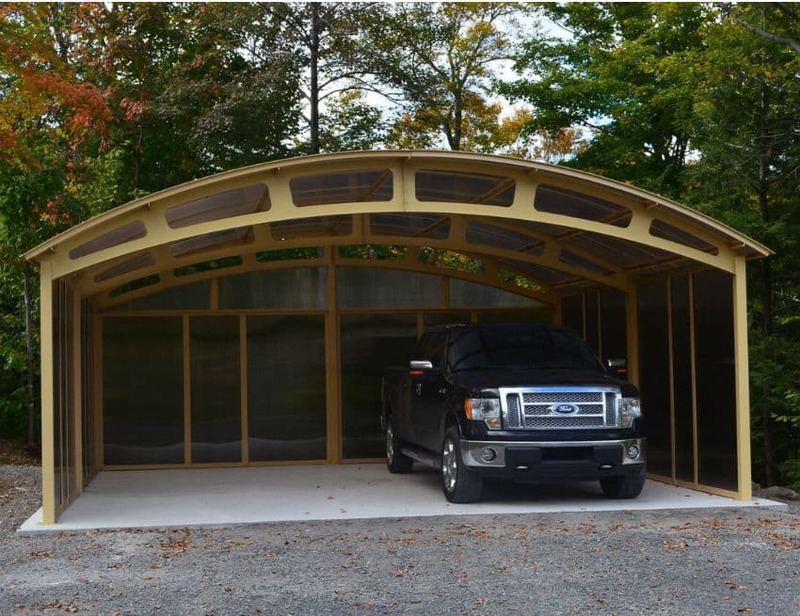 Our carports have a load capacity equal to that of your home’s roof. 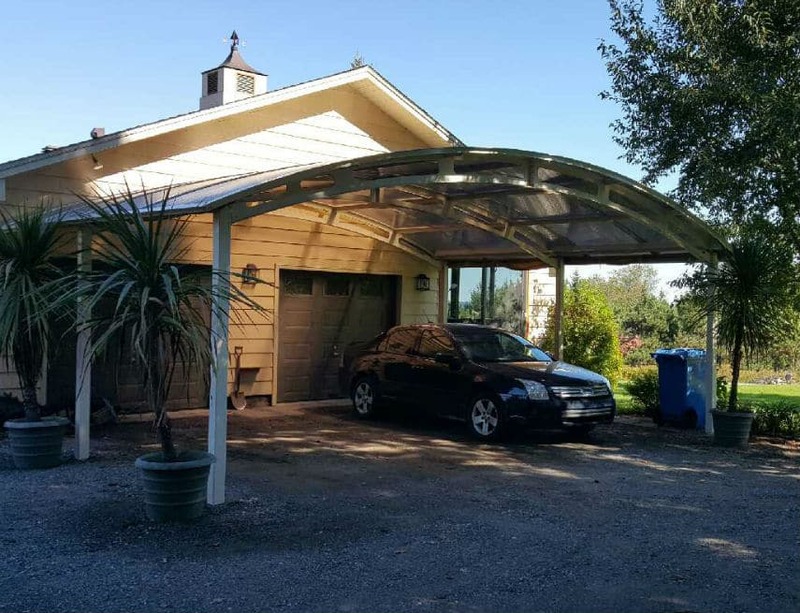 A vast choice of materials and a fabulous range of colours are available. 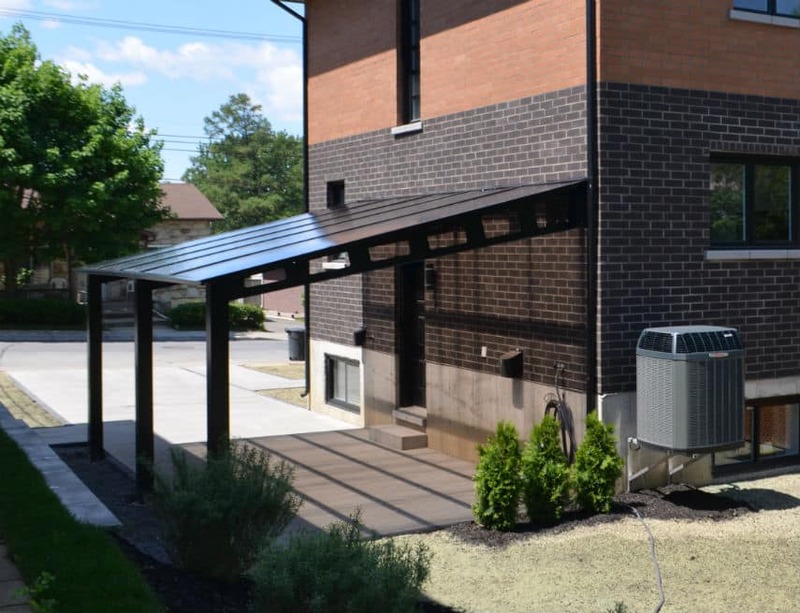 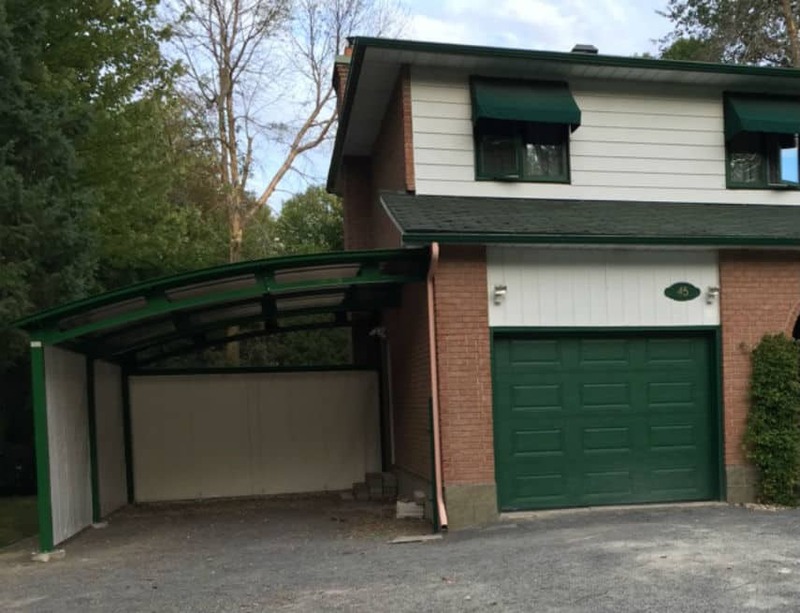 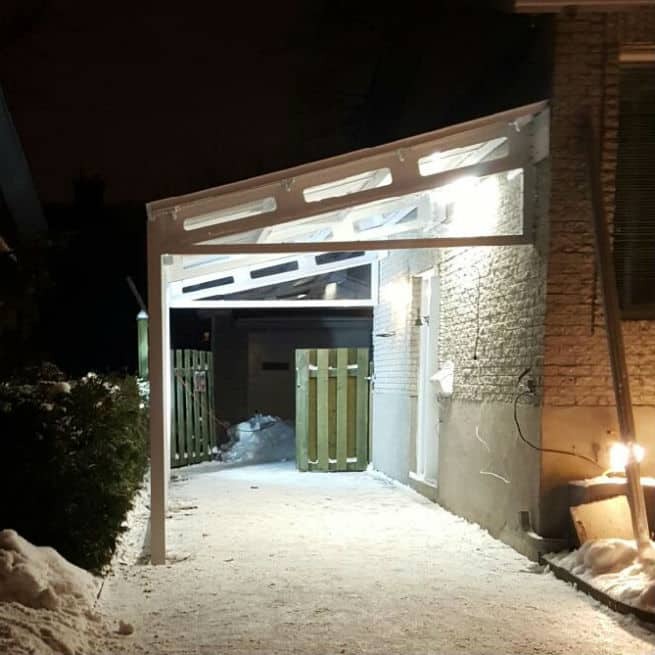 This modern garage will protect you from the snow, rain, freezing rain and hail, as well as increase your home’s resale value. 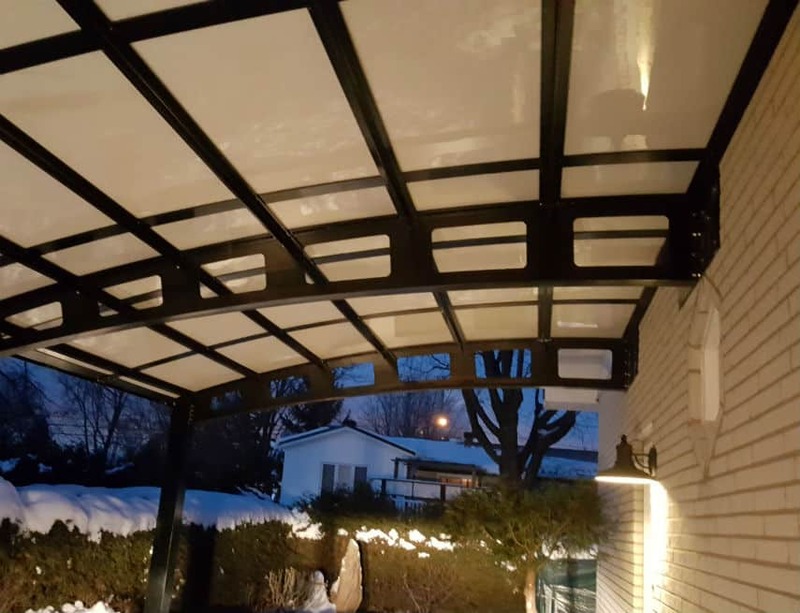 SLIDING PANELS. 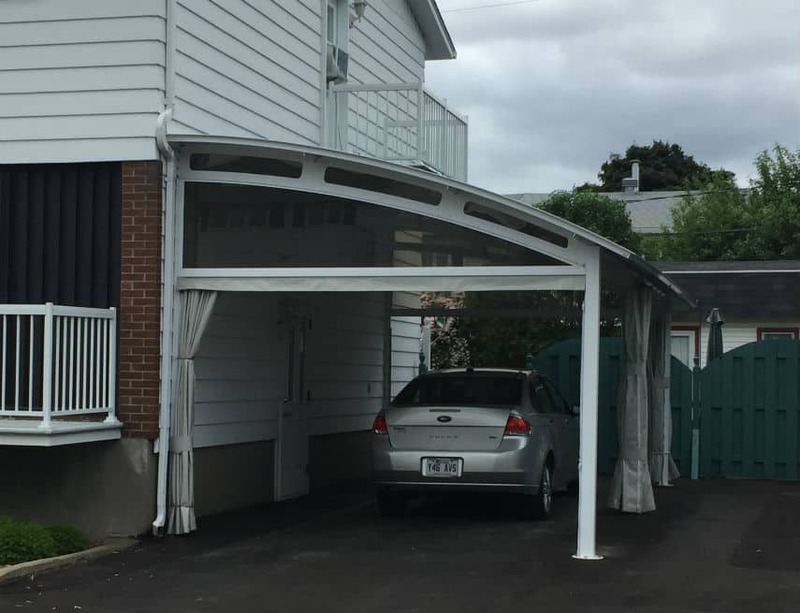 A GREAT ADDition. 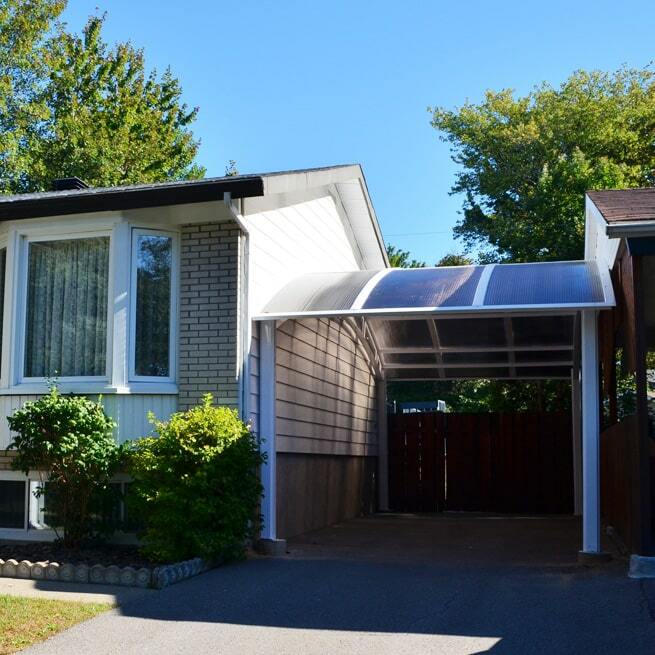 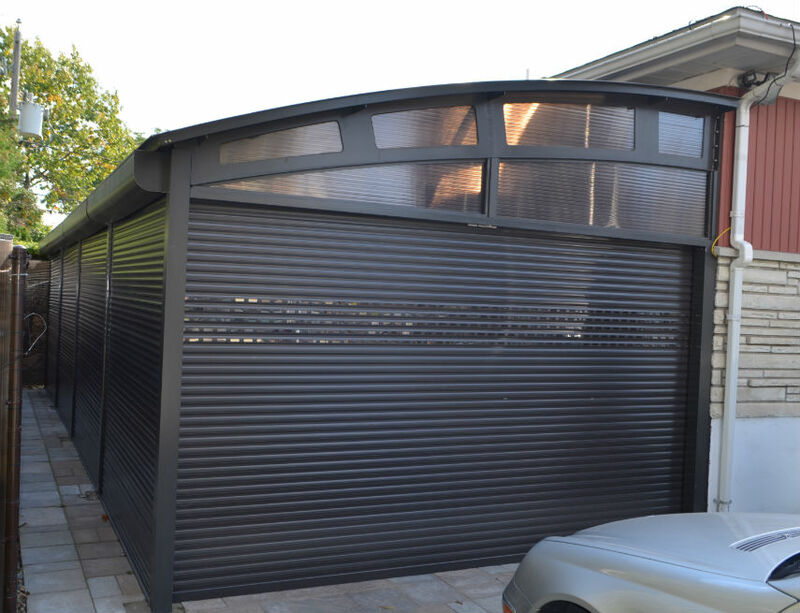 This Laval customer had electric blinds added to close and open his shelter as required. 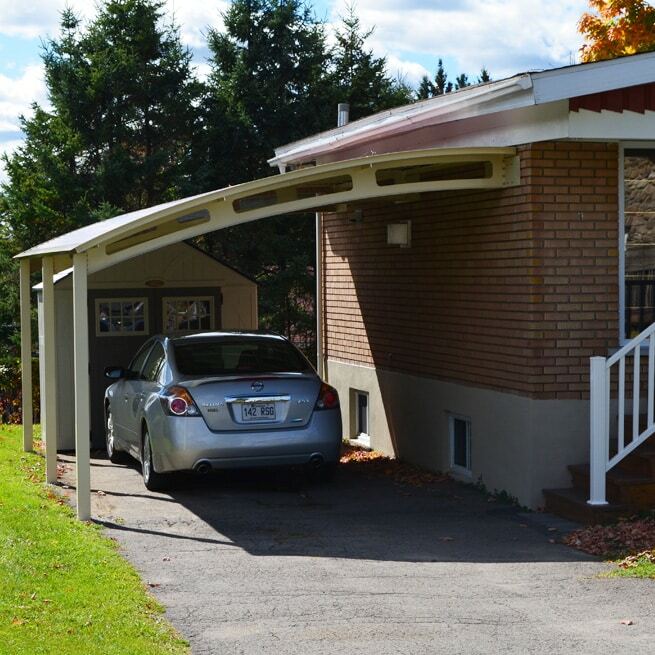 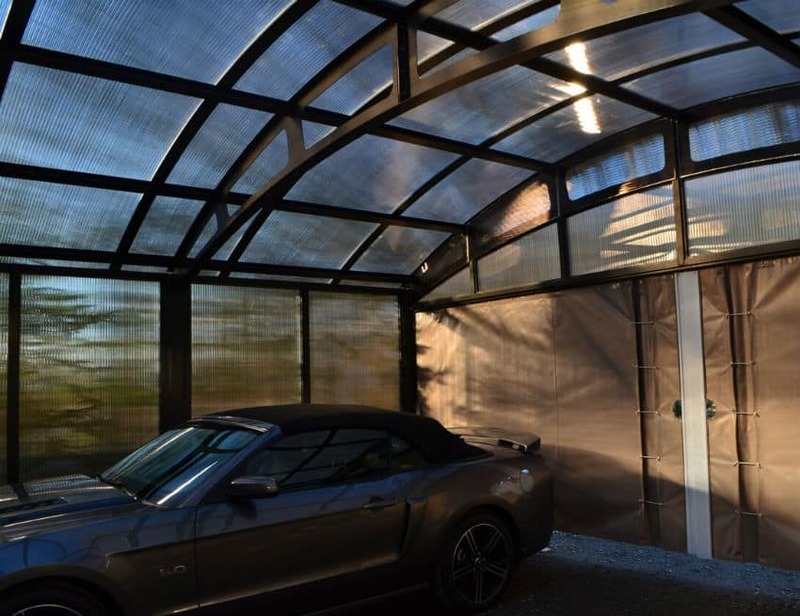 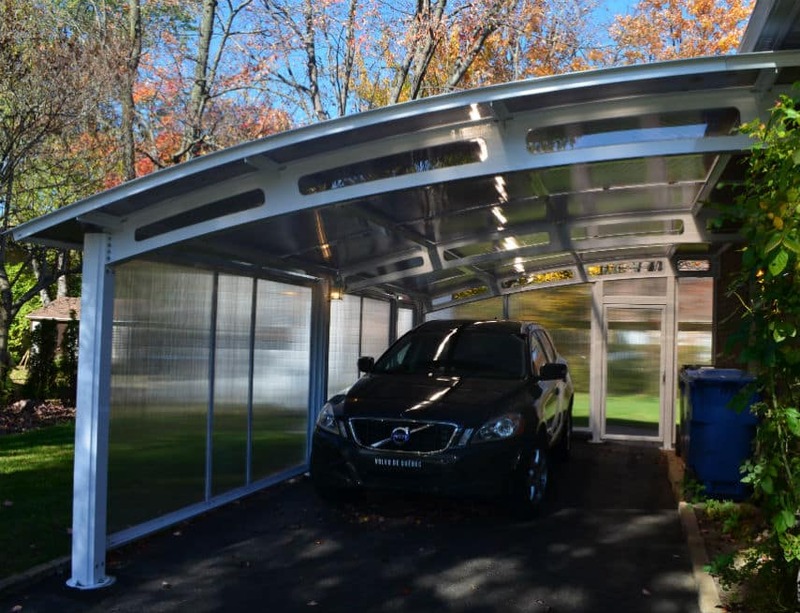 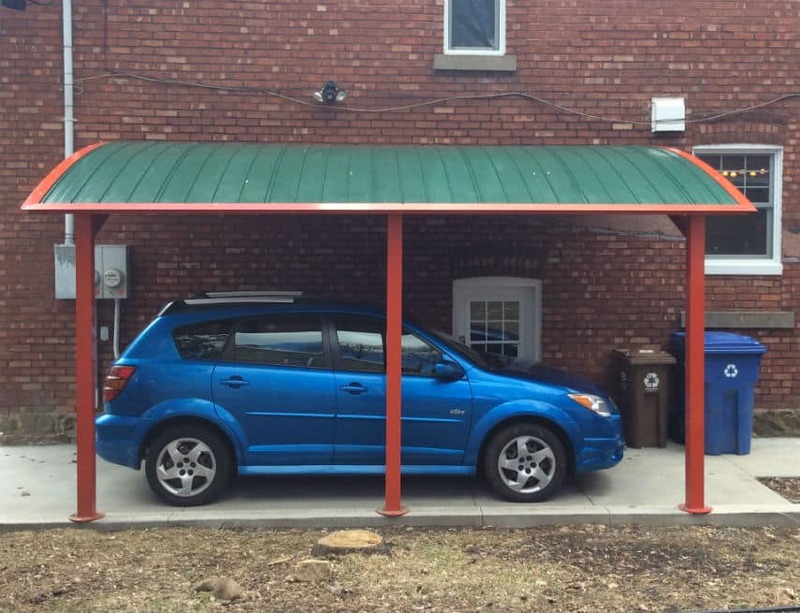 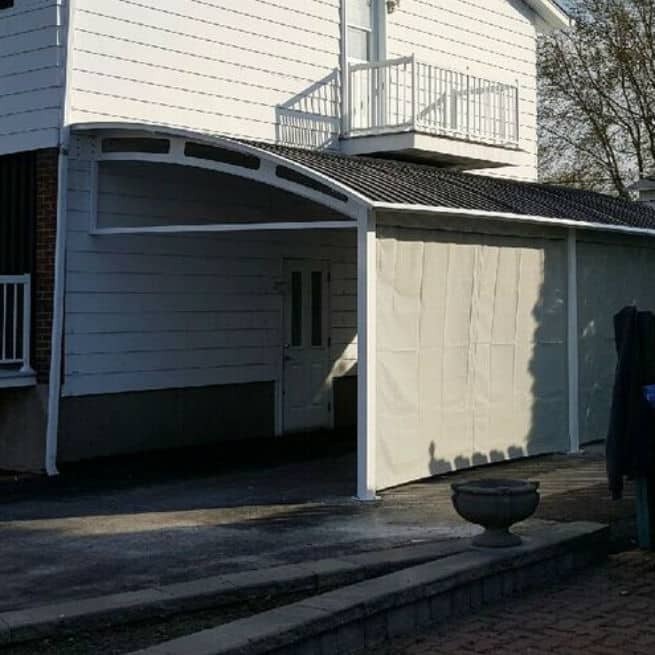 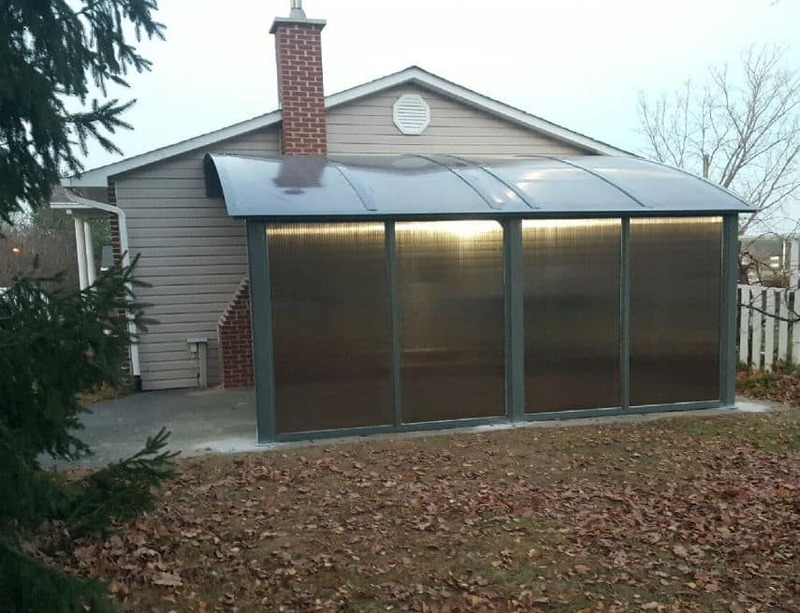 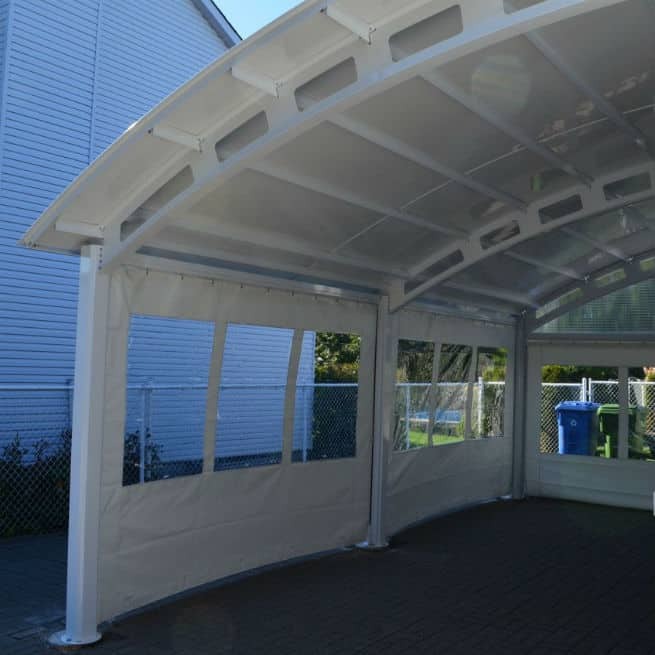 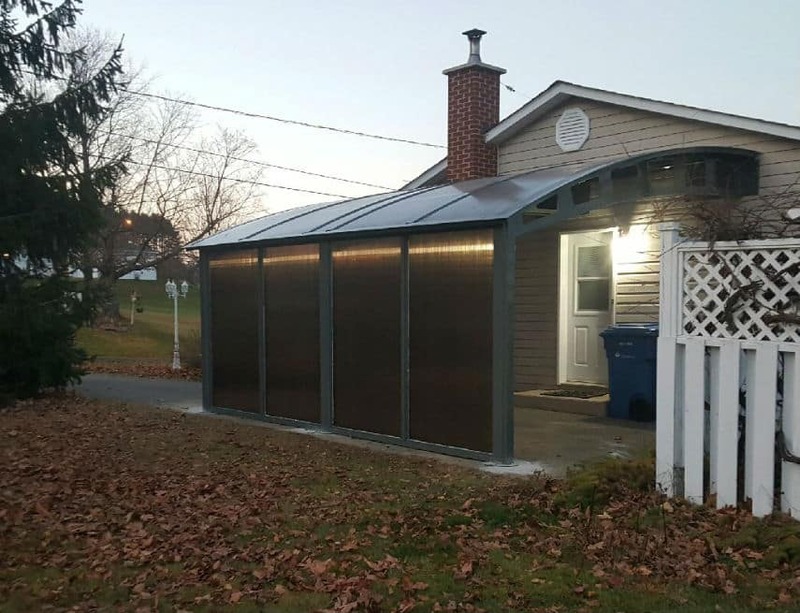 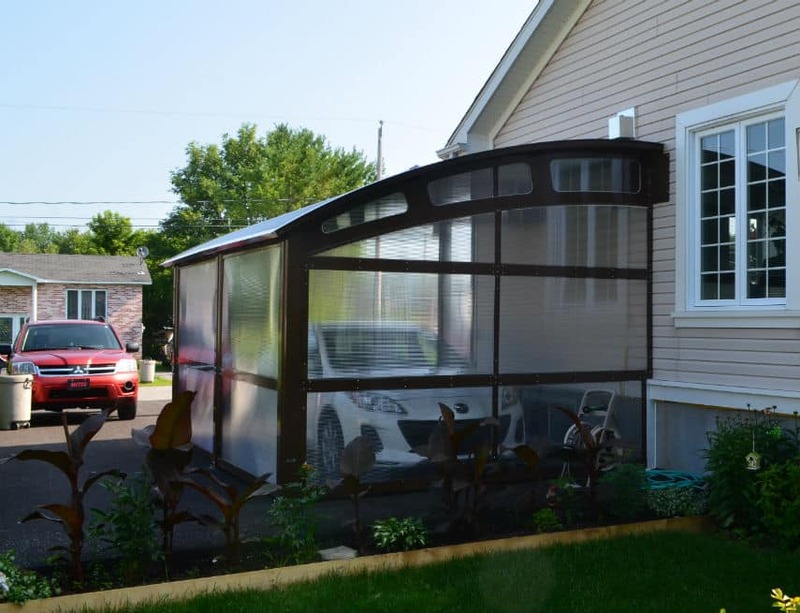 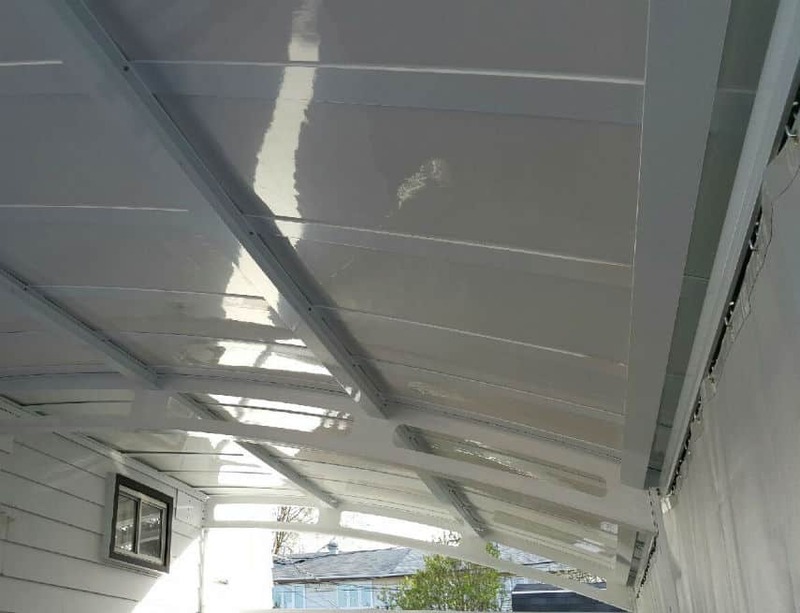 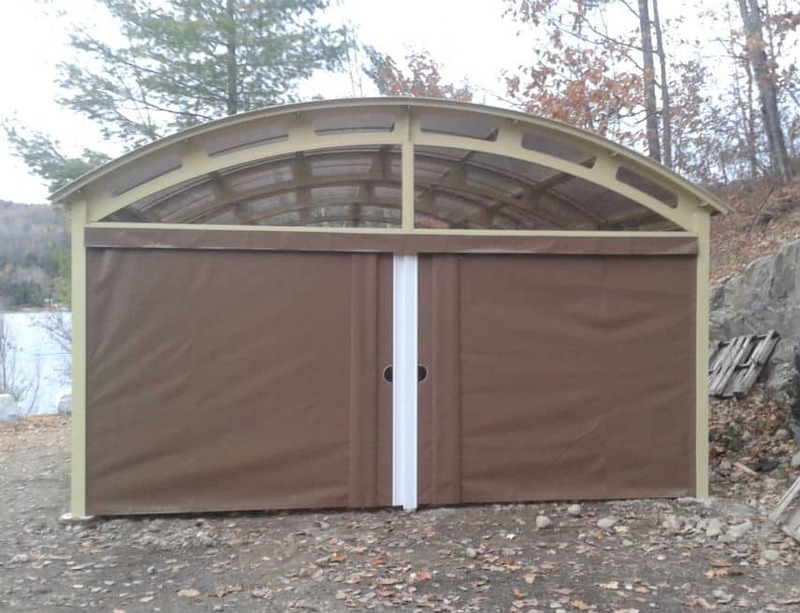 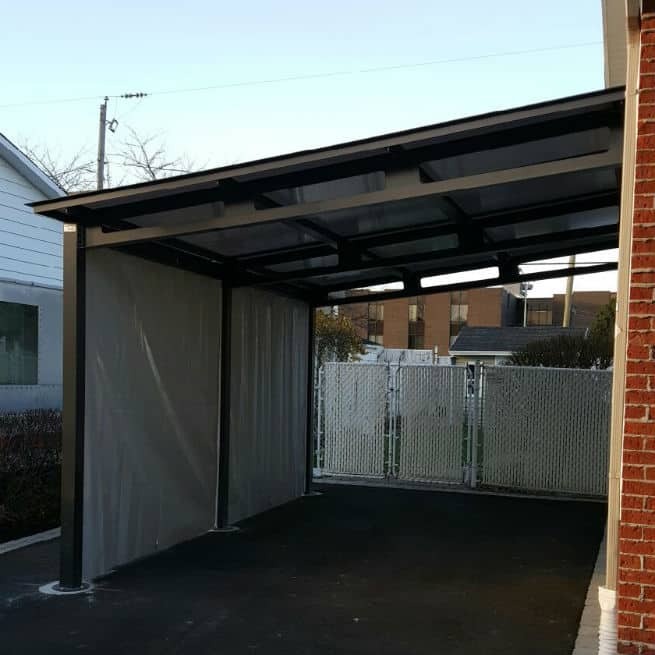 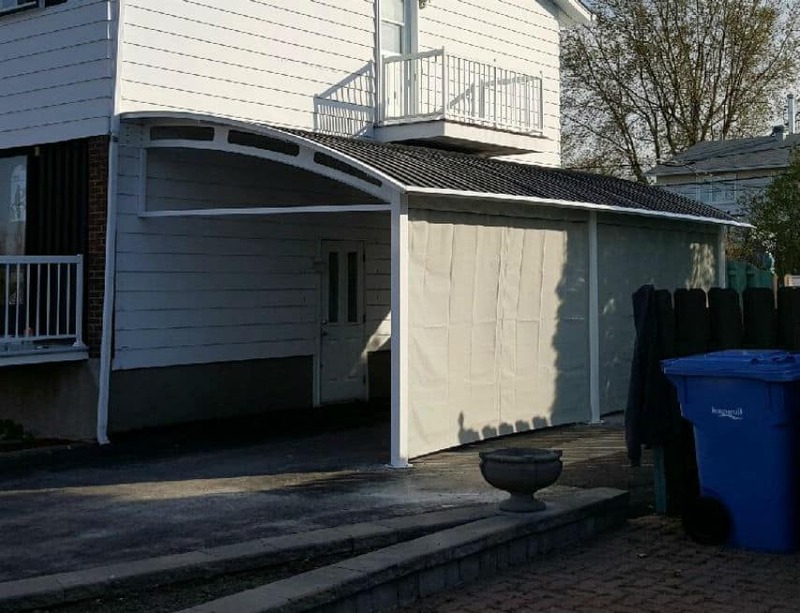 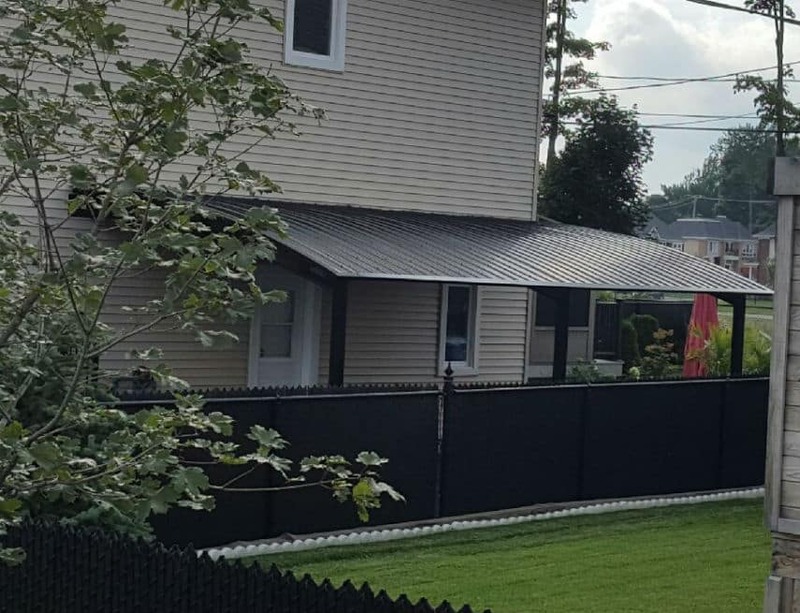 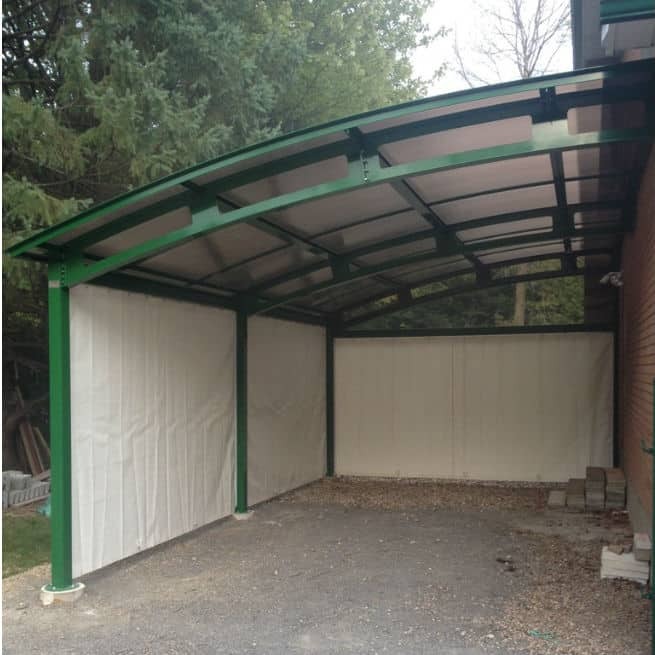 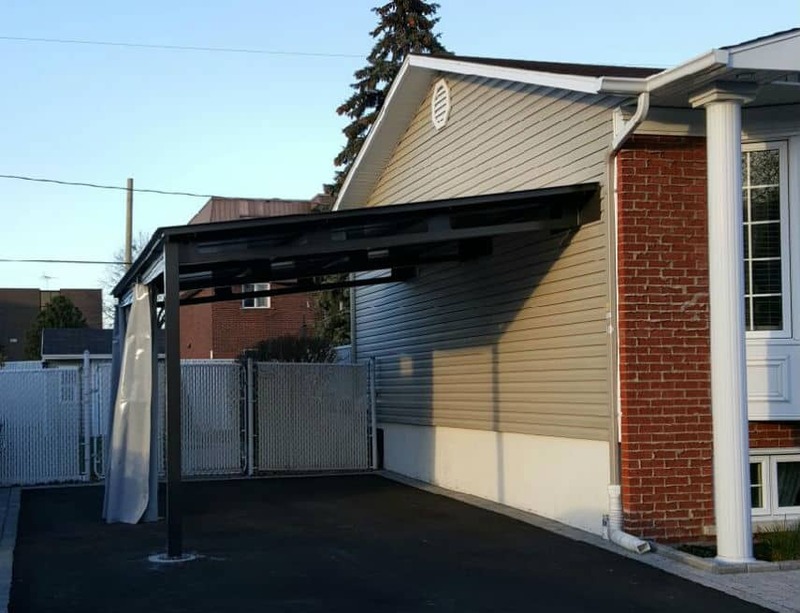 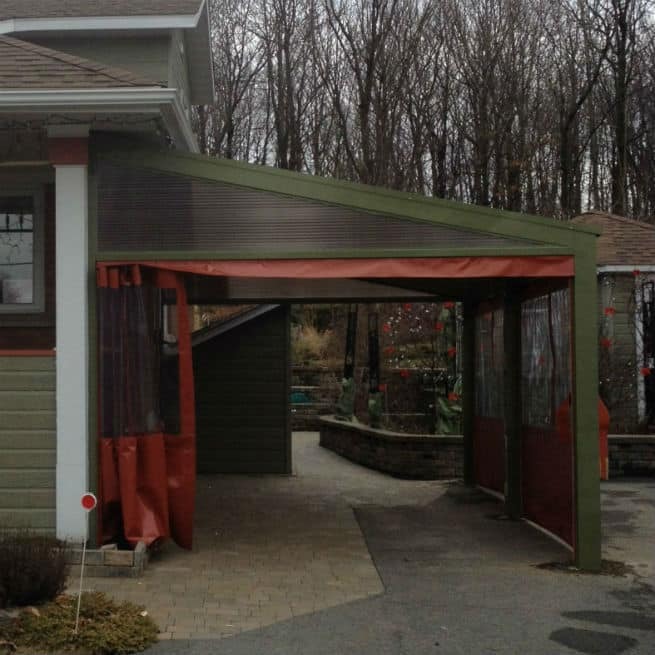 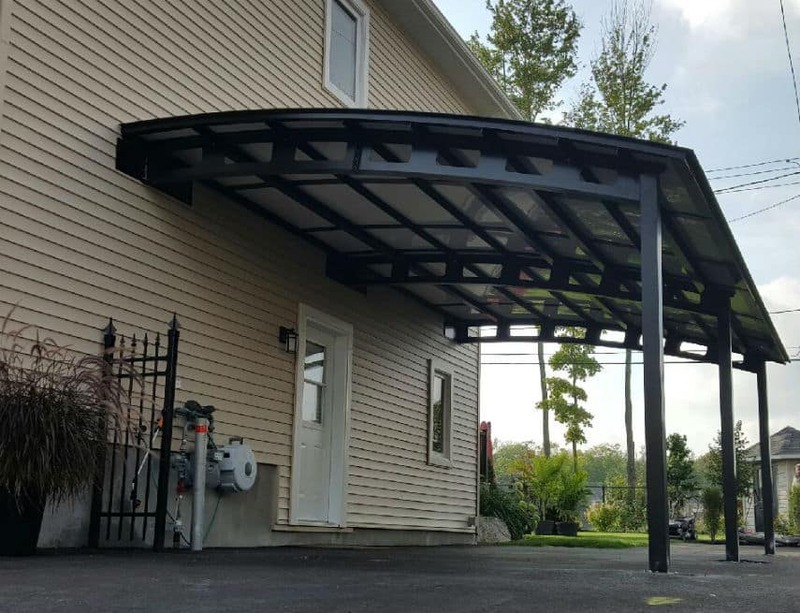 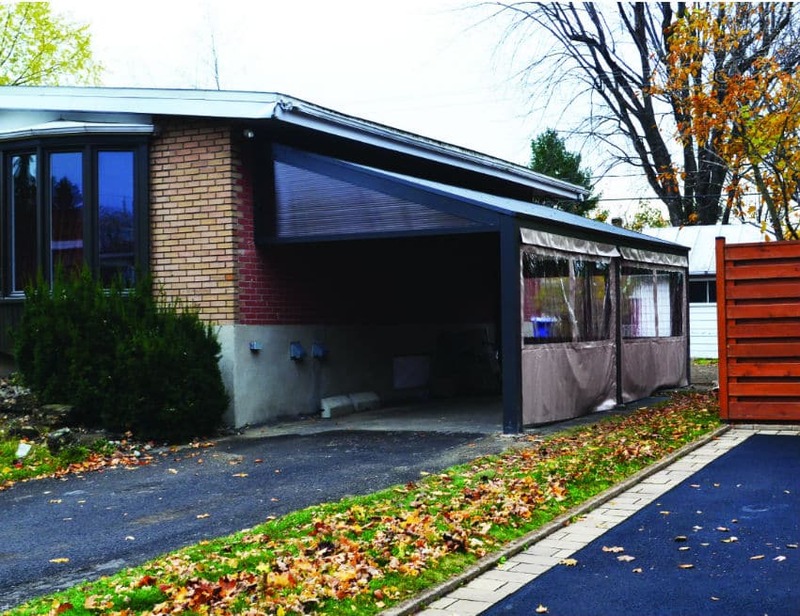 This permanent carport measuring 11 ft. wide by 36 ft. long is ideal for protecting two cars year-round. 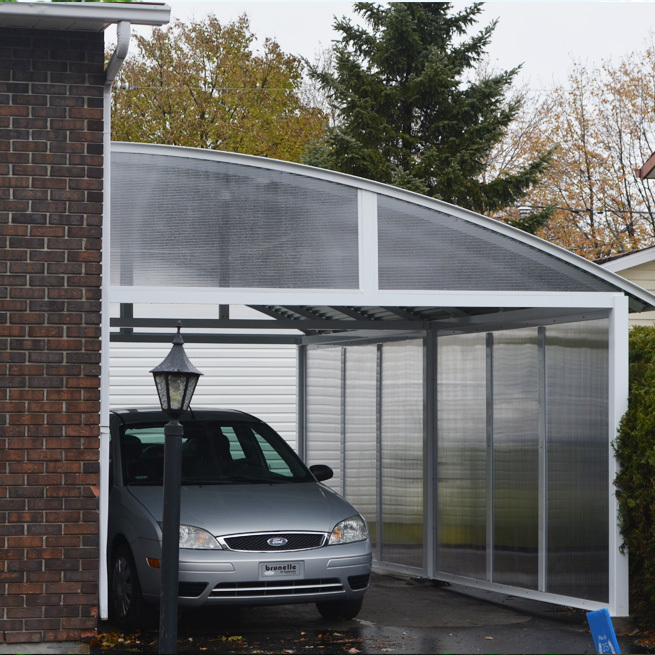 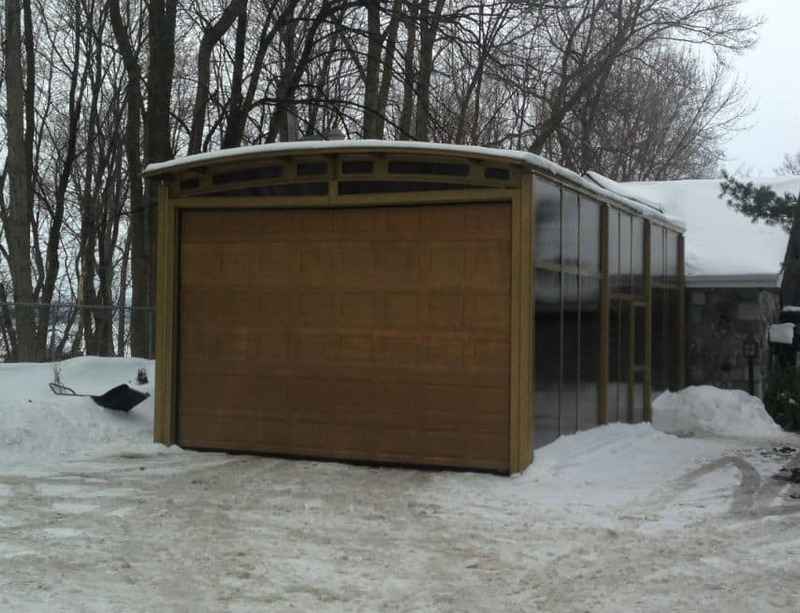 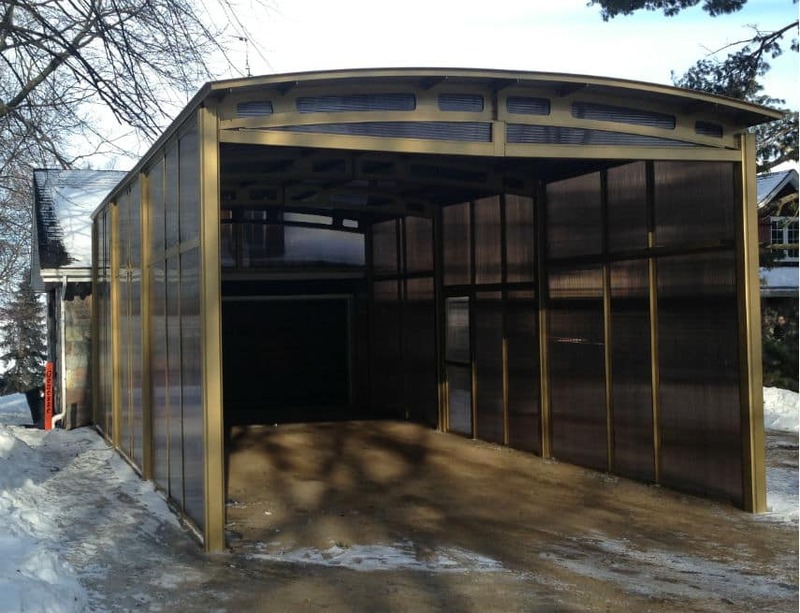 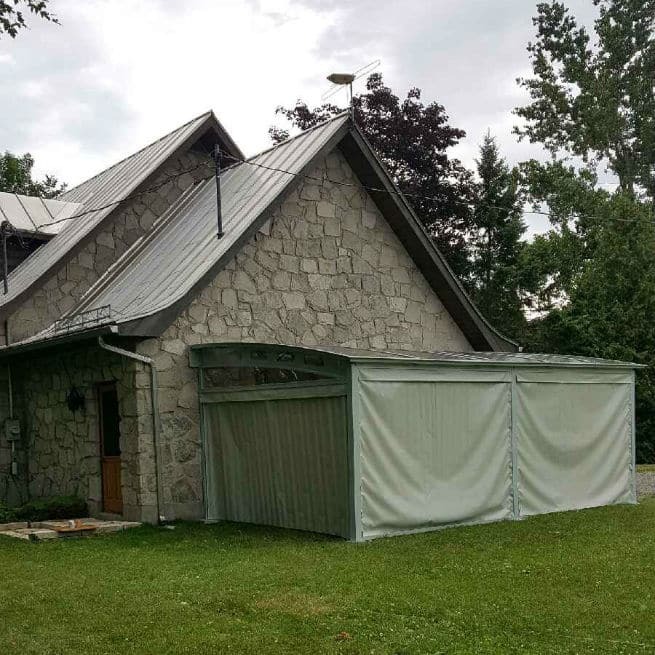 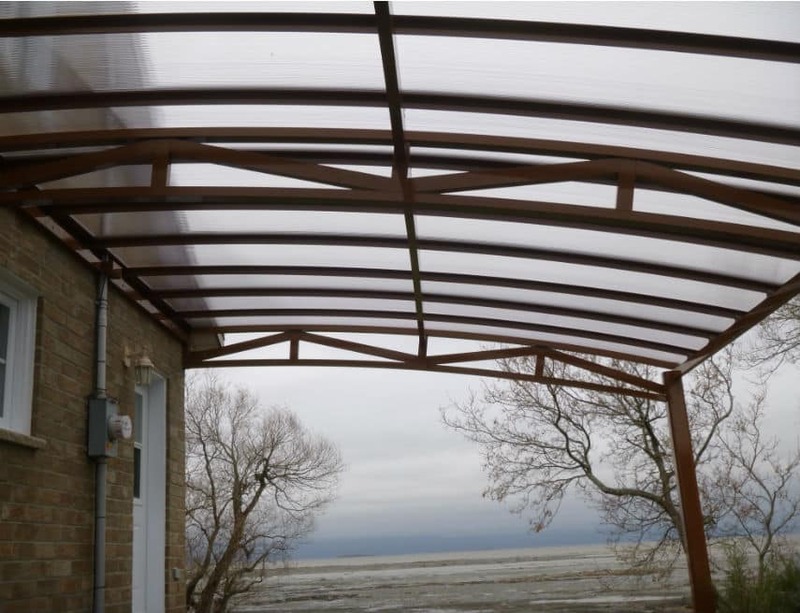 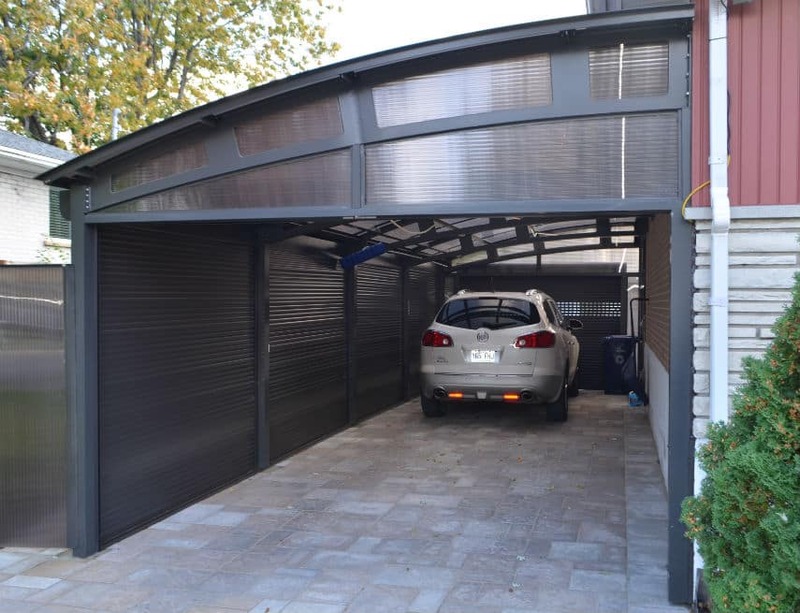 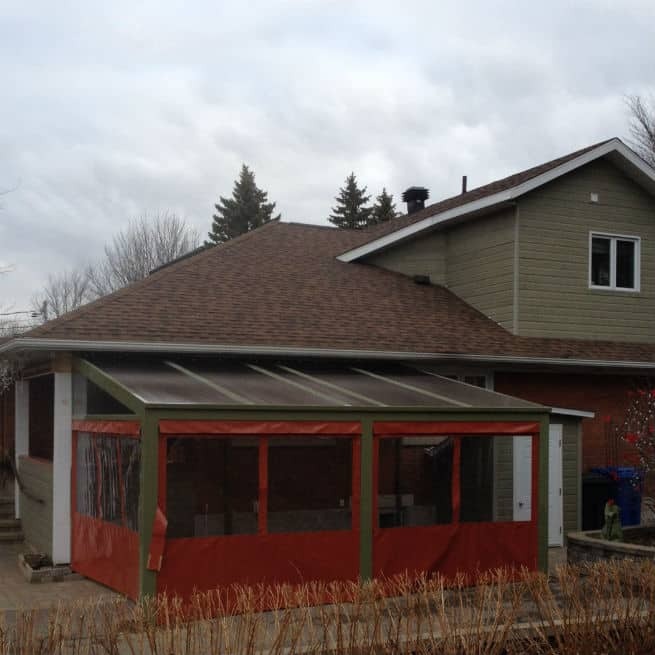 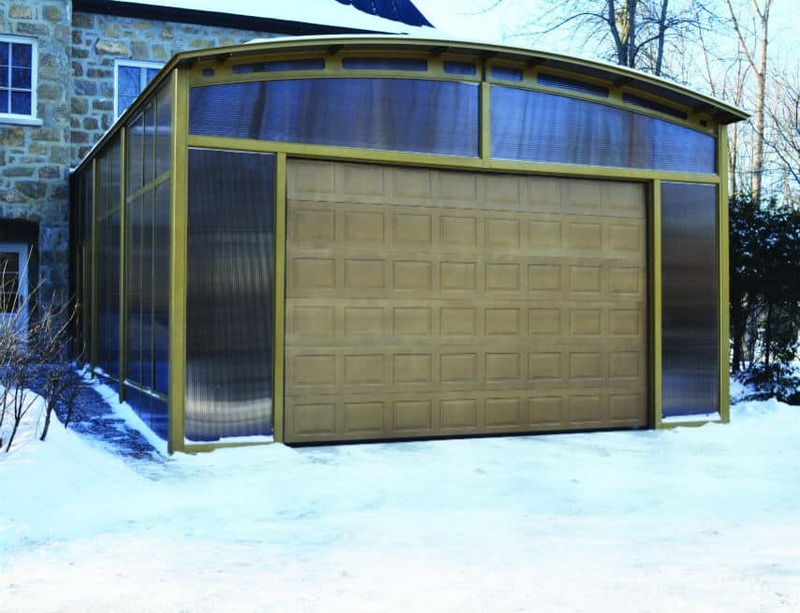 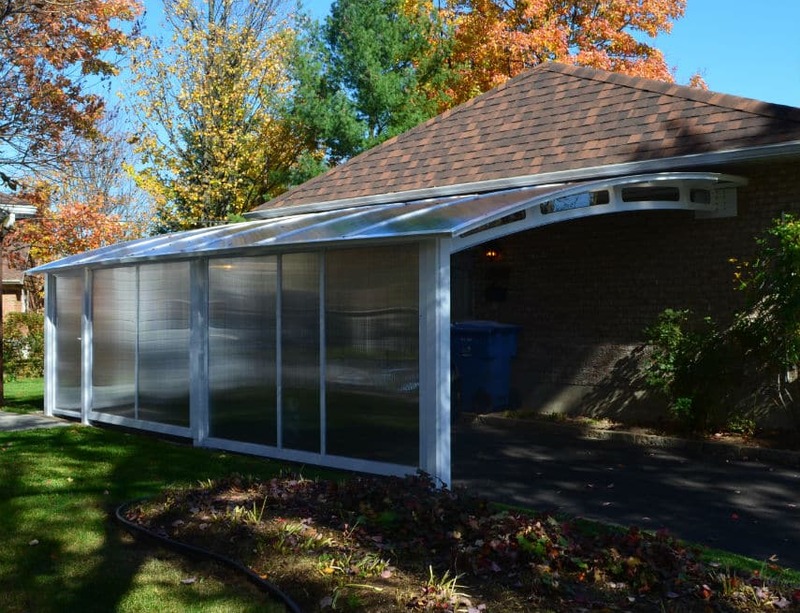 This Laval client chose smoked polycarbonate walls on the side for privacy and protection against wind and snow. 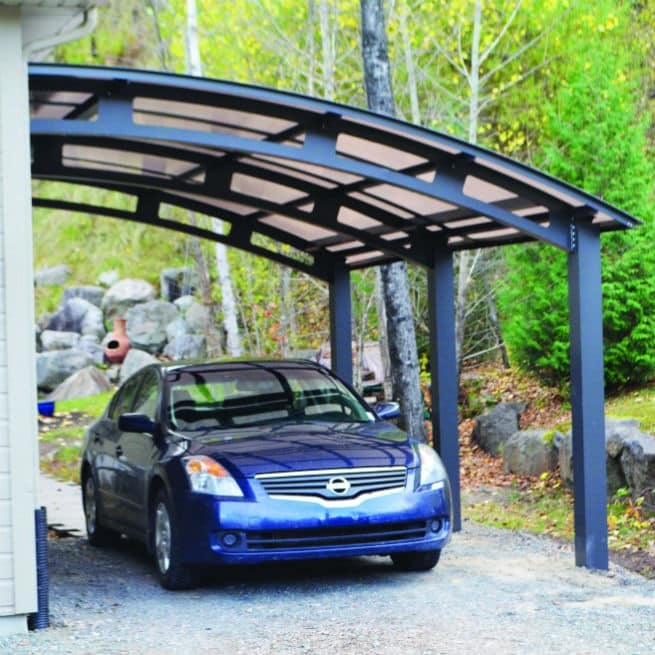 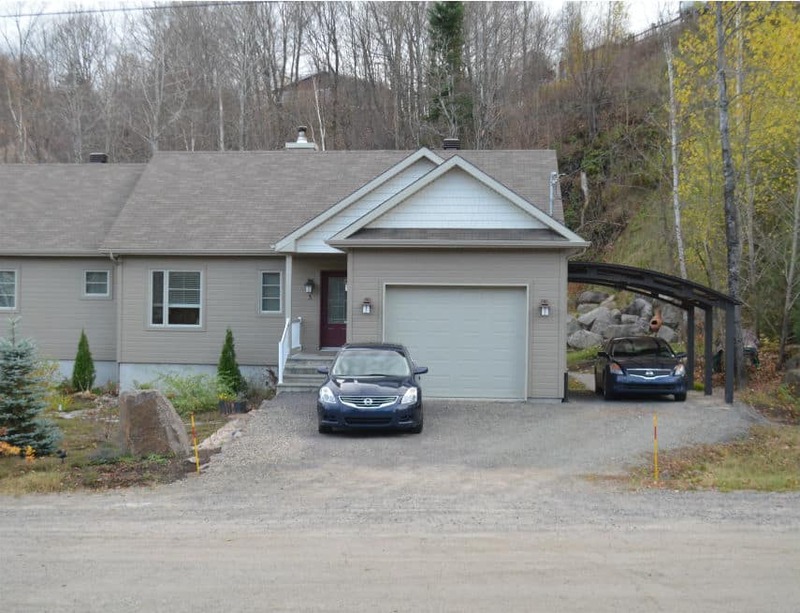 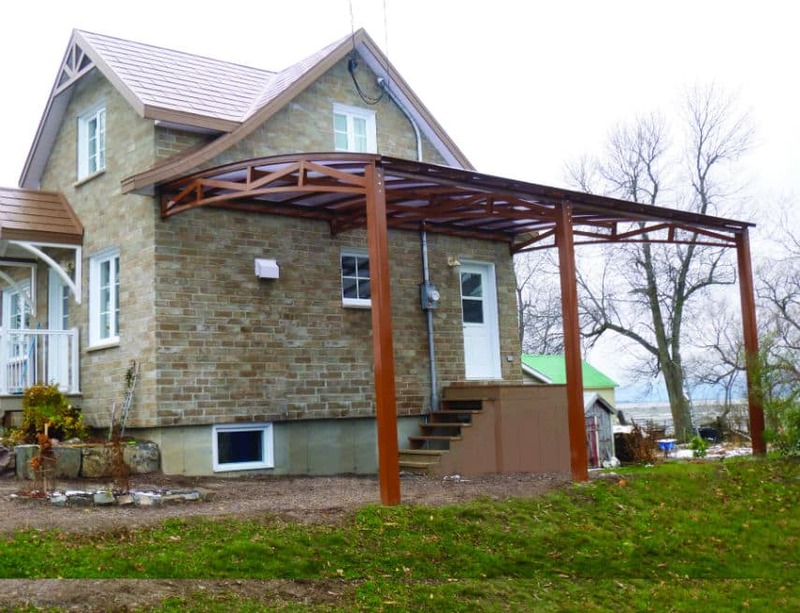 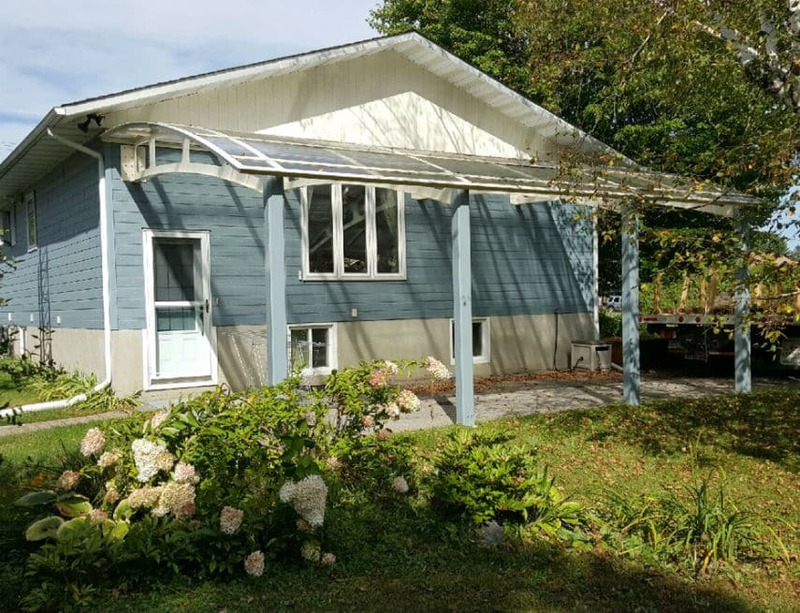 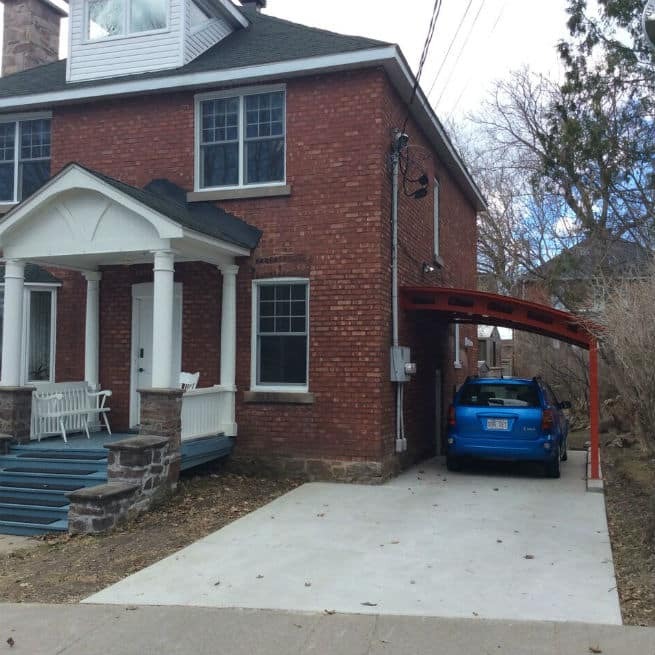 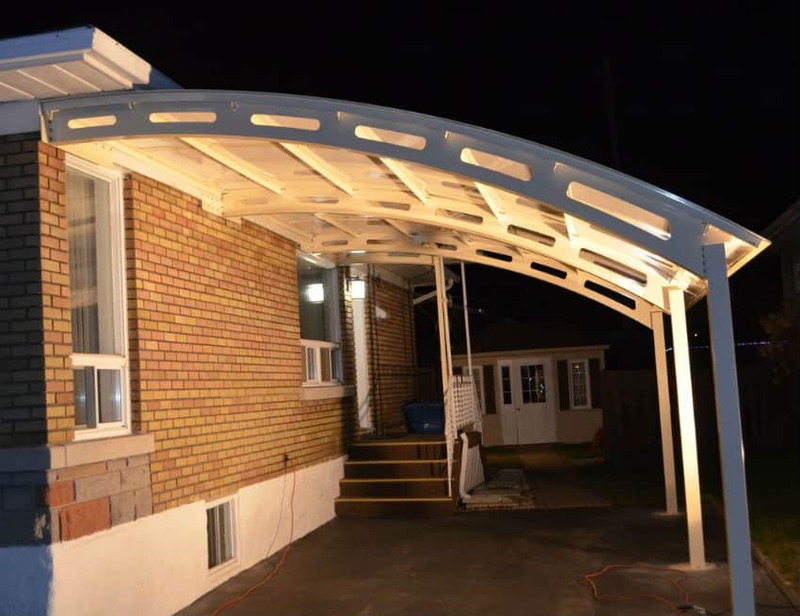 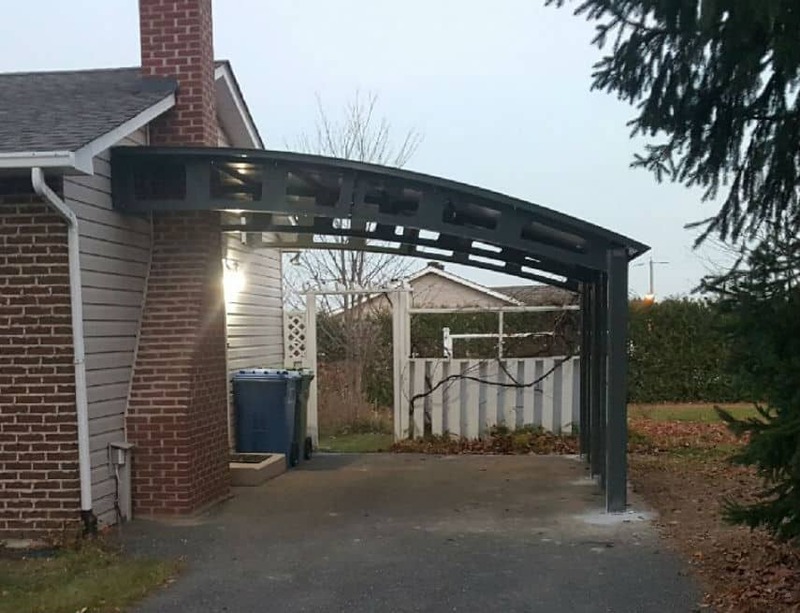 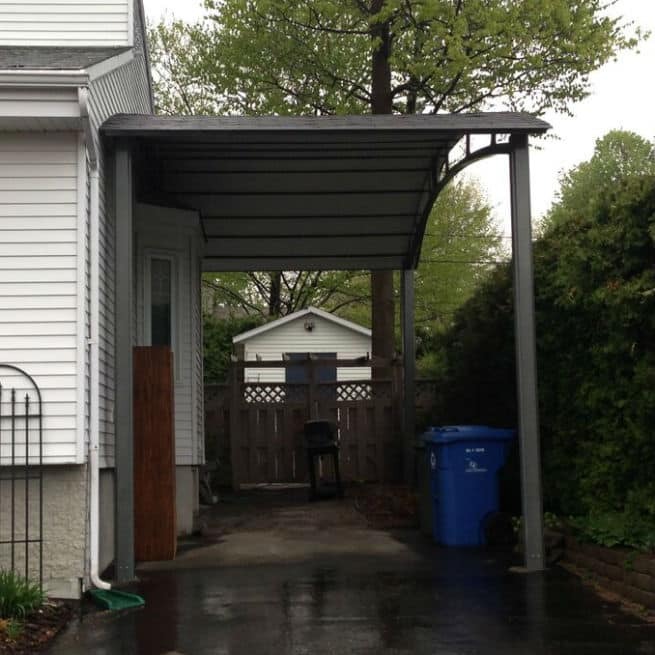 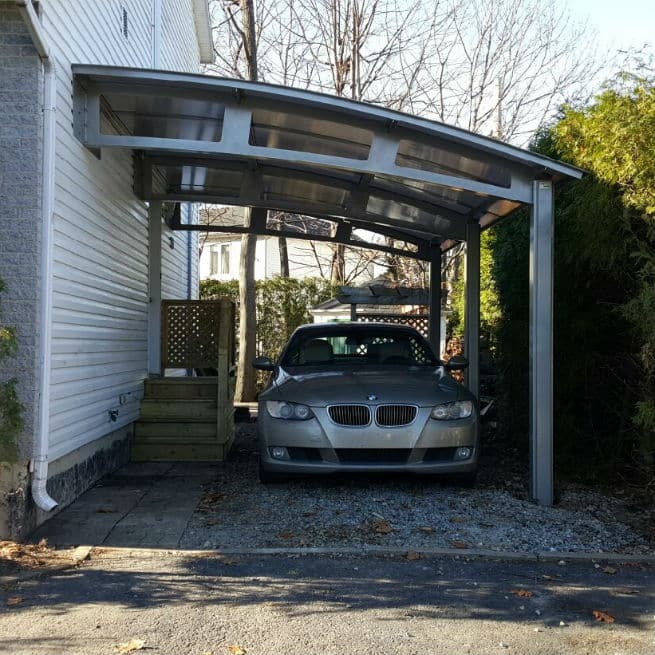 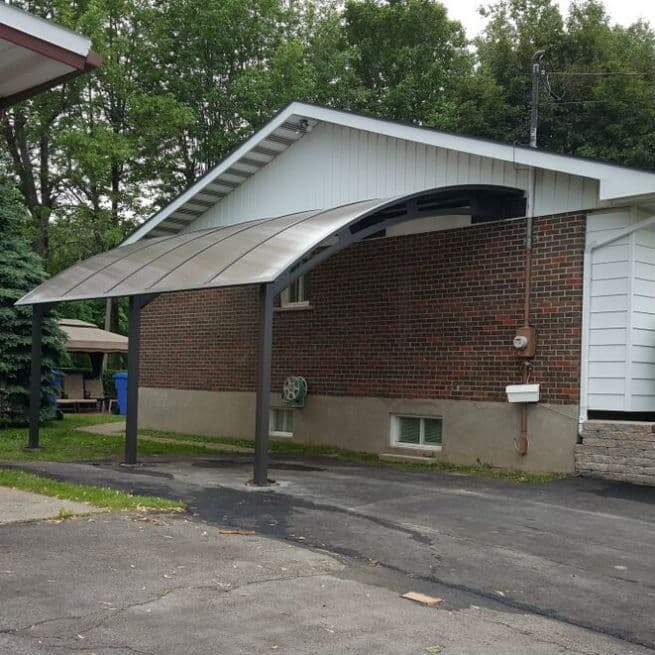 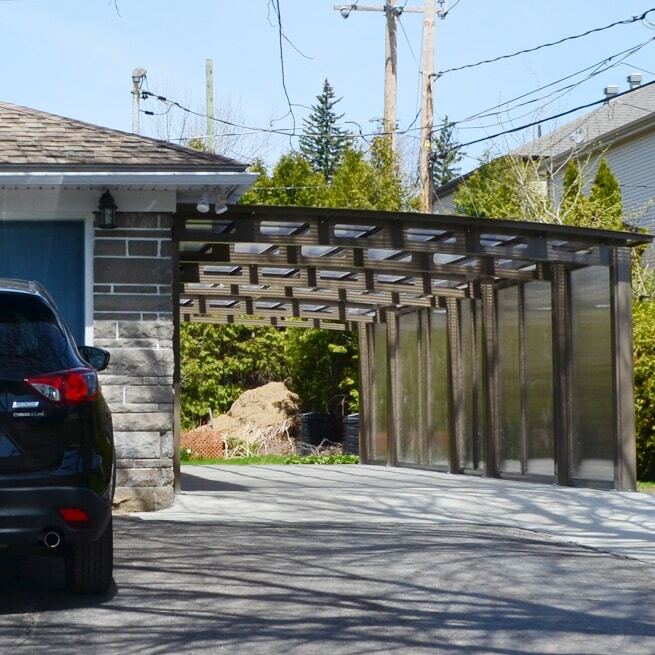 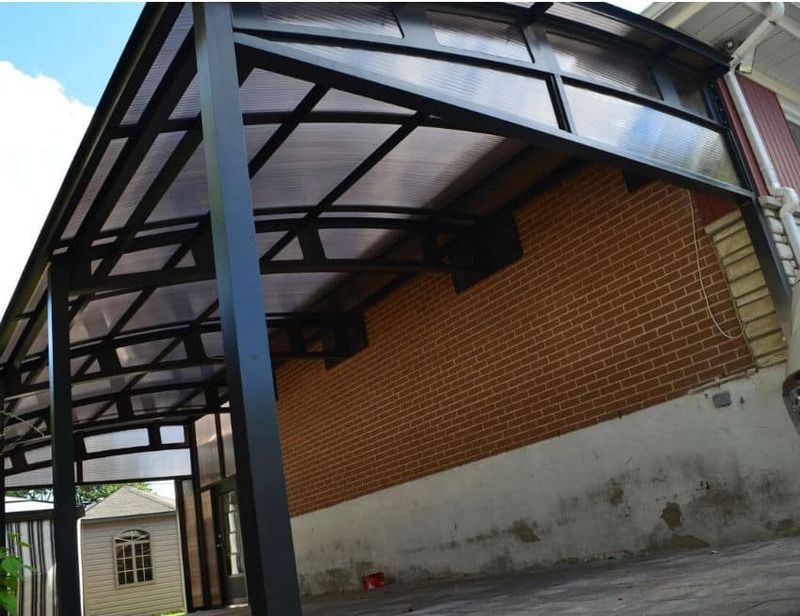 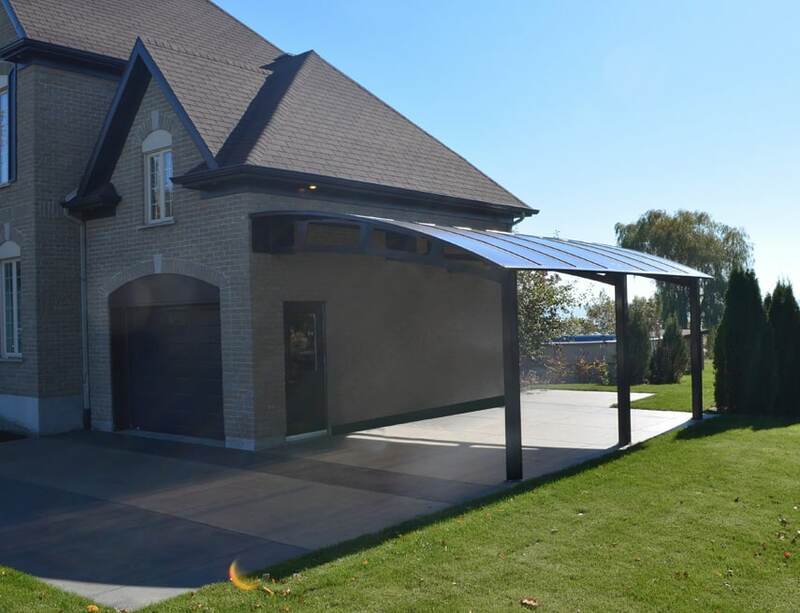 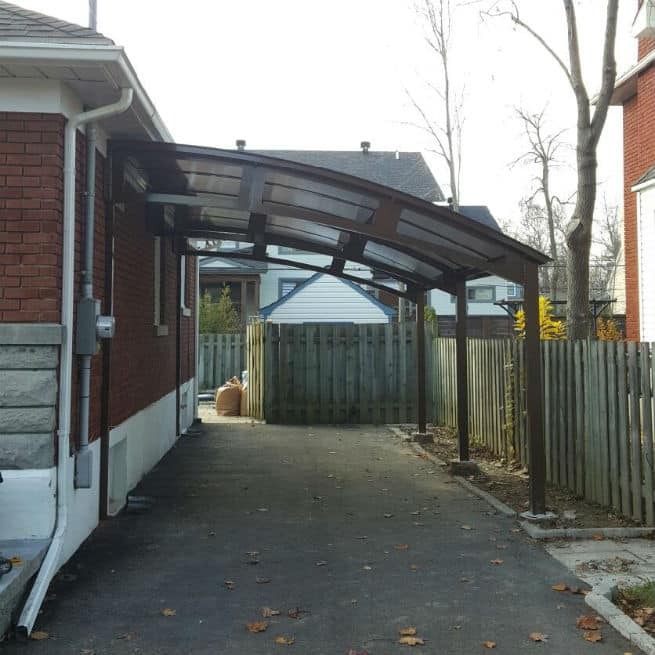 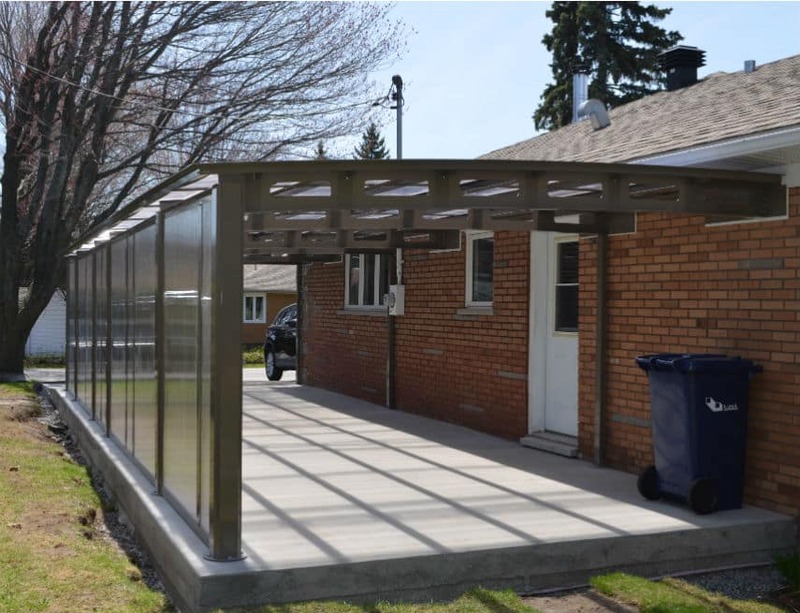 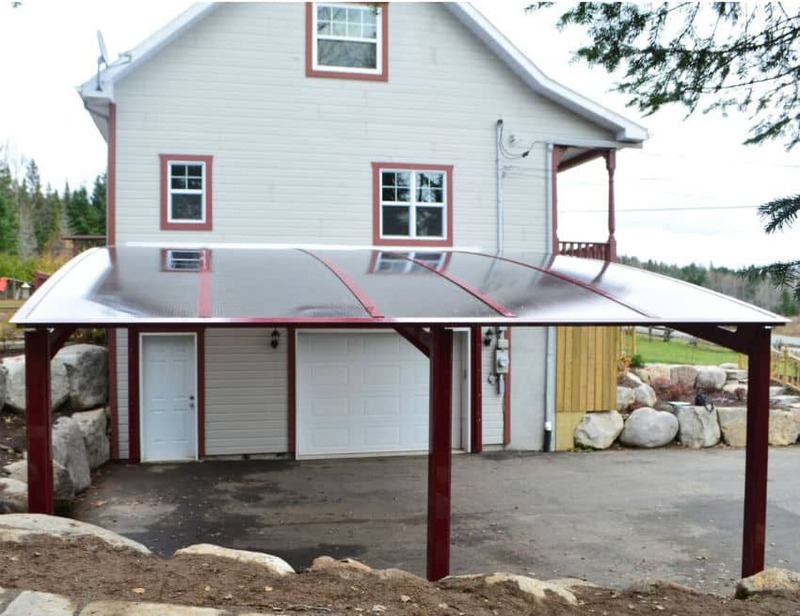 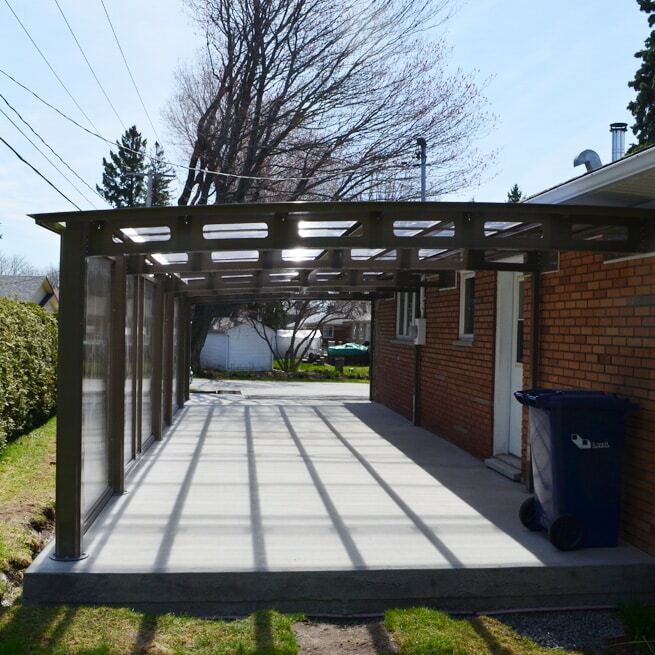 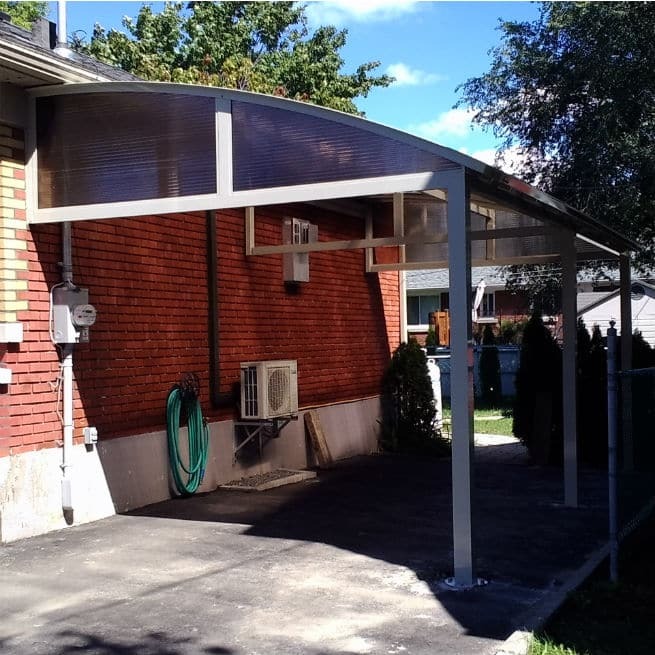 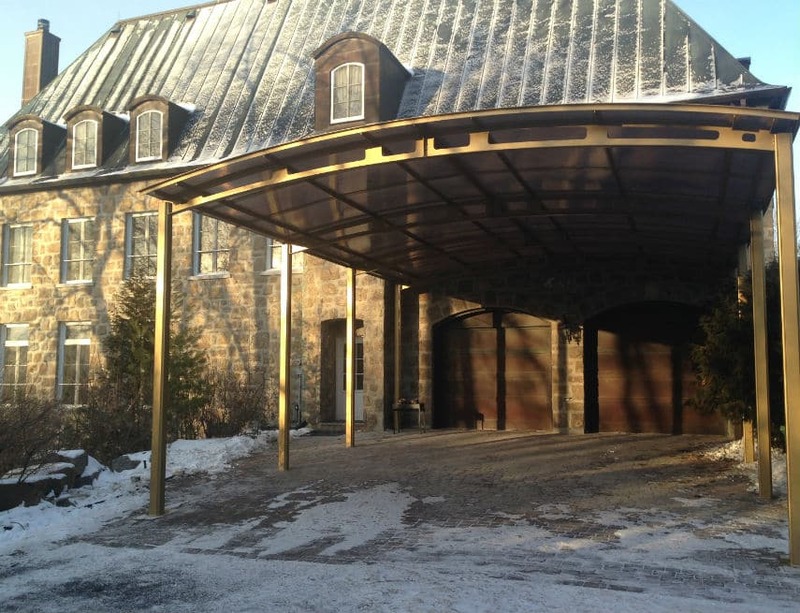 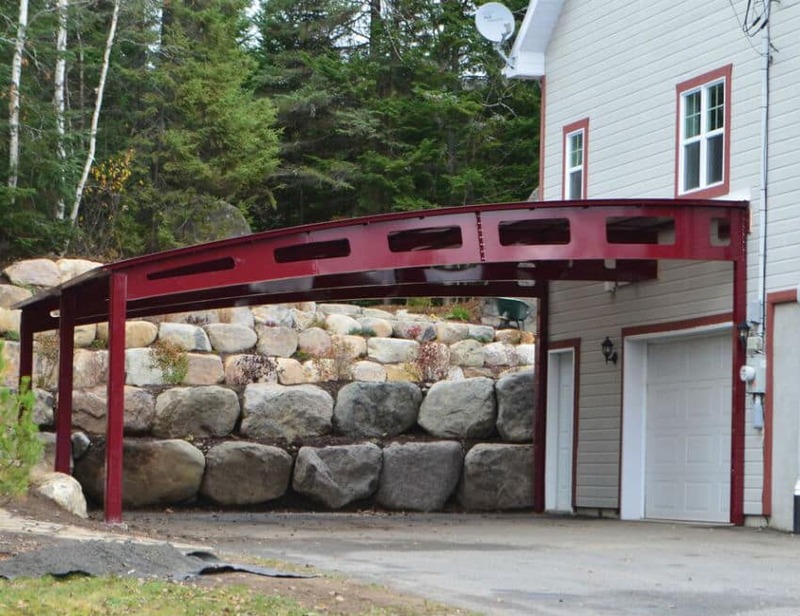 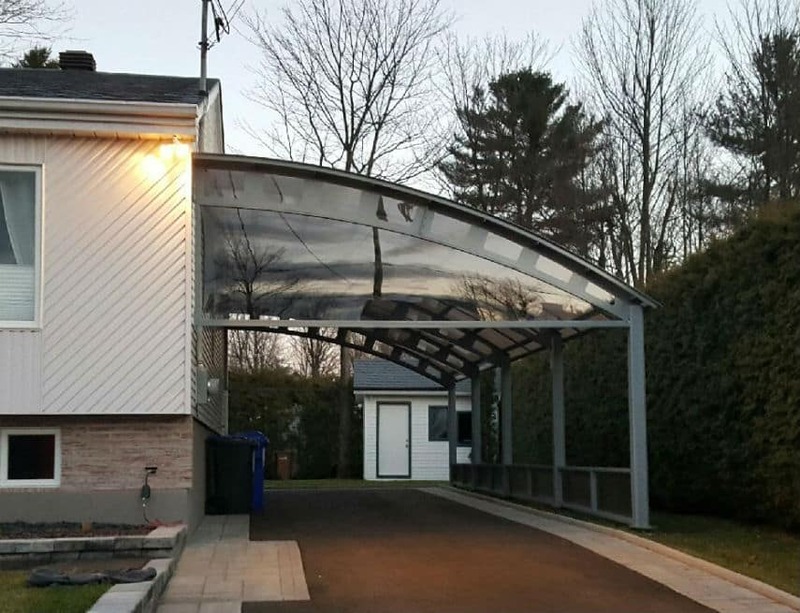 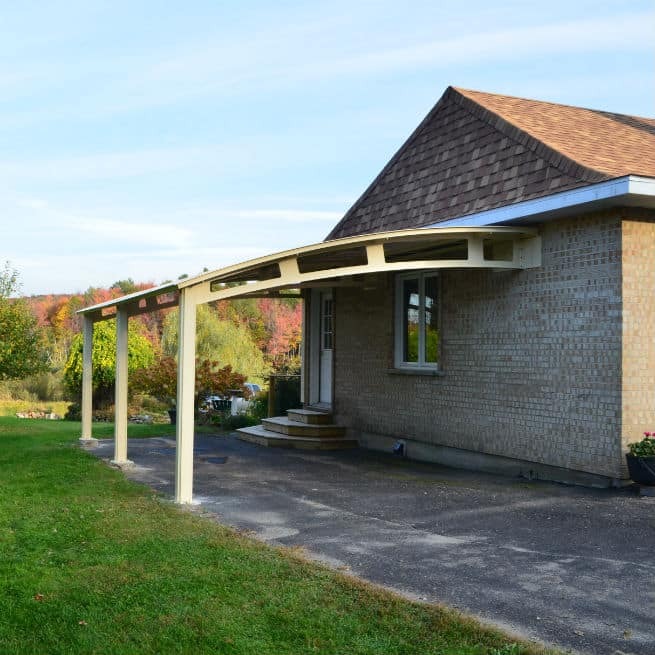 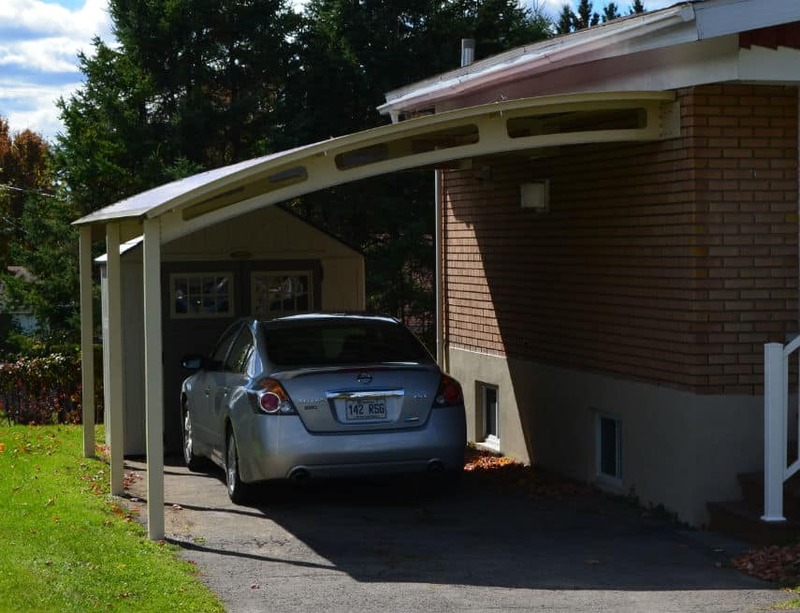 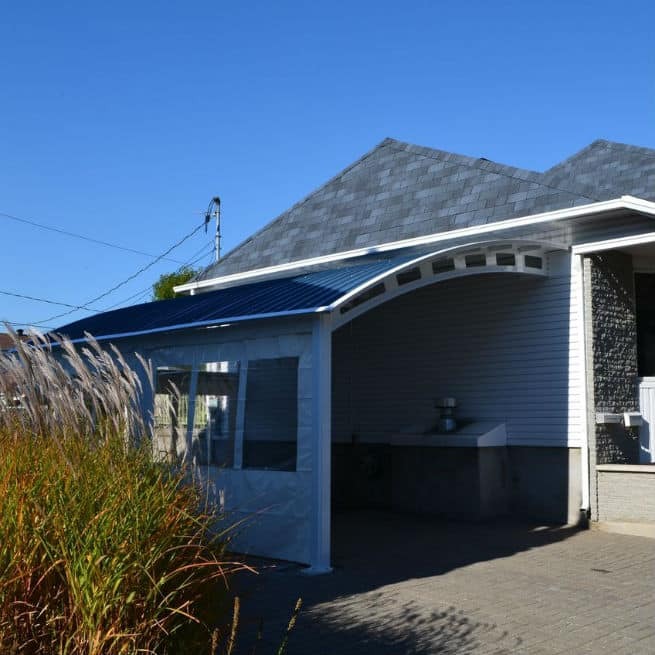 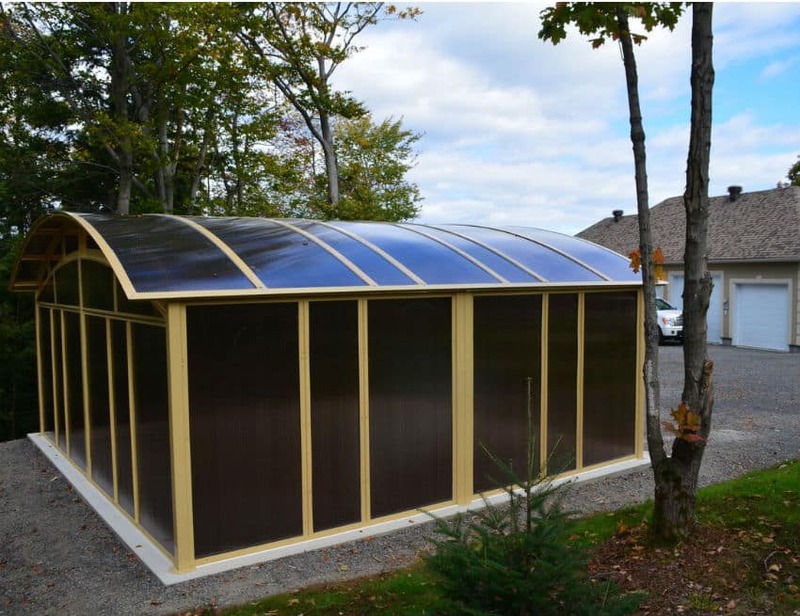 Installed on a custom-poured concrete base, this carport goes perfectly with the house. 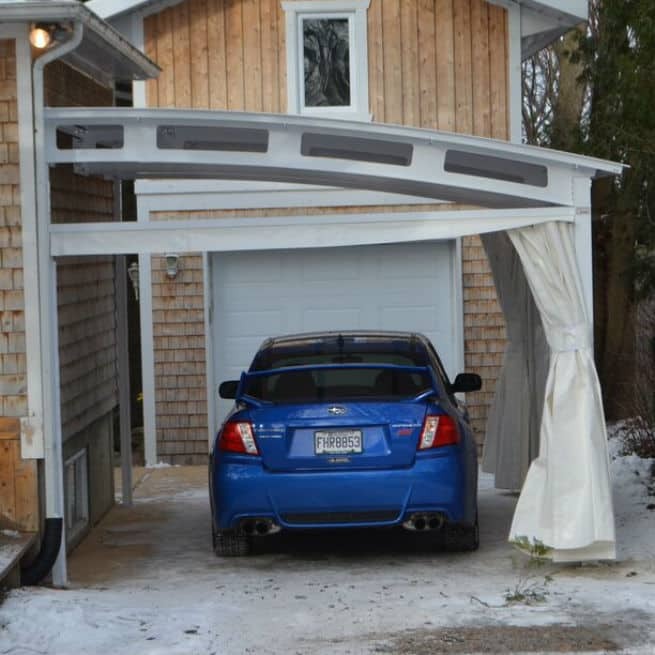 NO CANVAS COVER TO REPLACE. 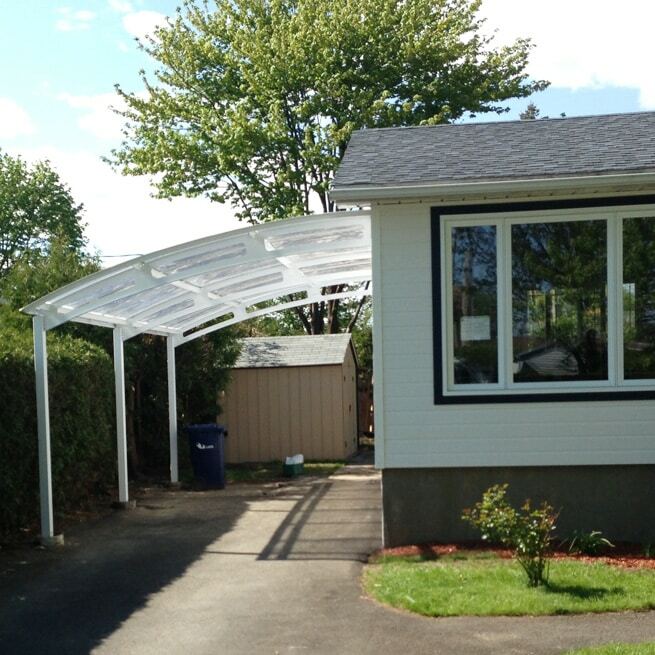 … AND A TURNKEY SOLUTION. 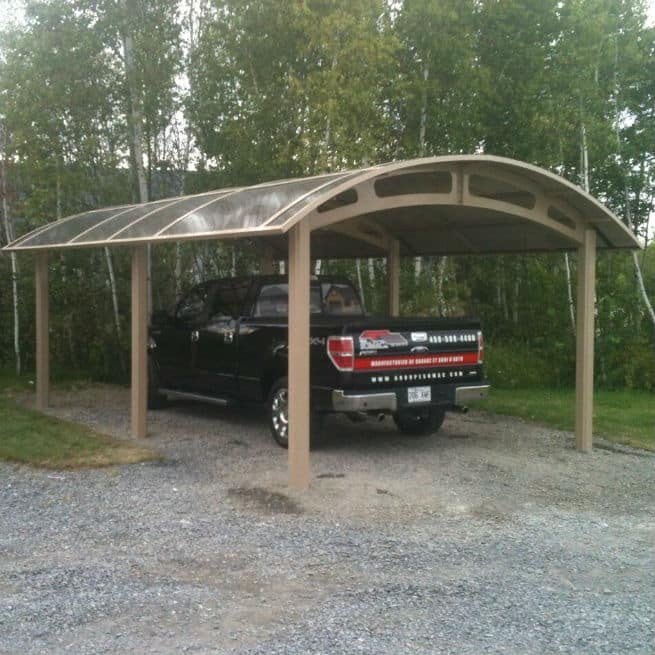 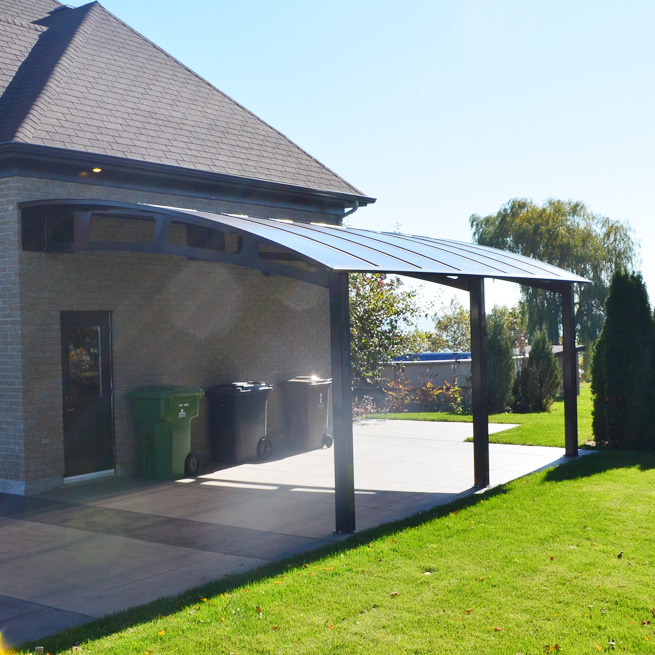 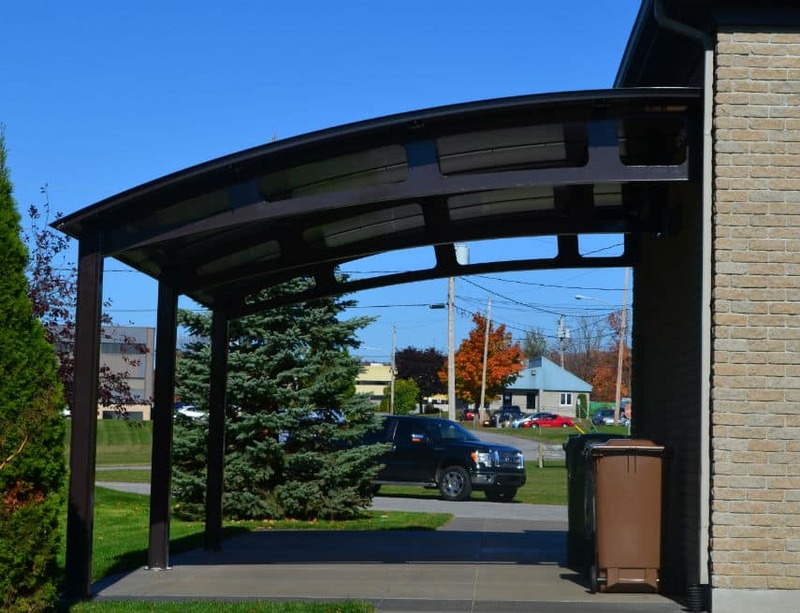 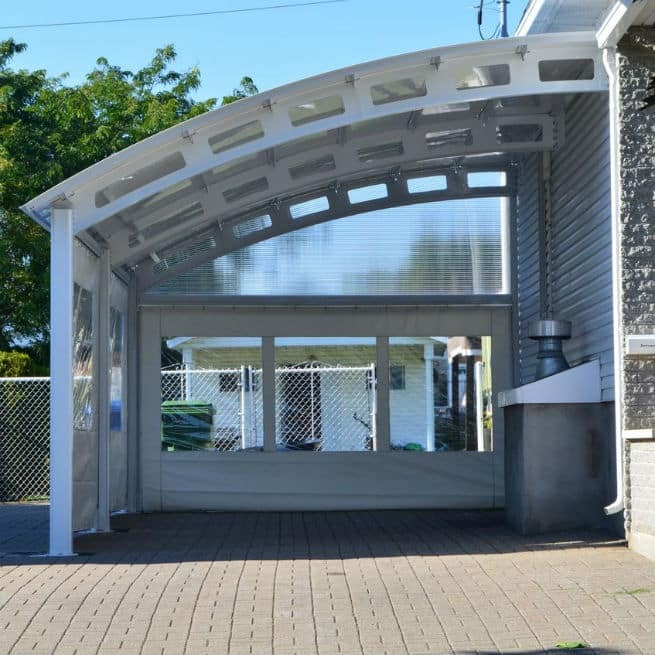 Want more information on our carports ? 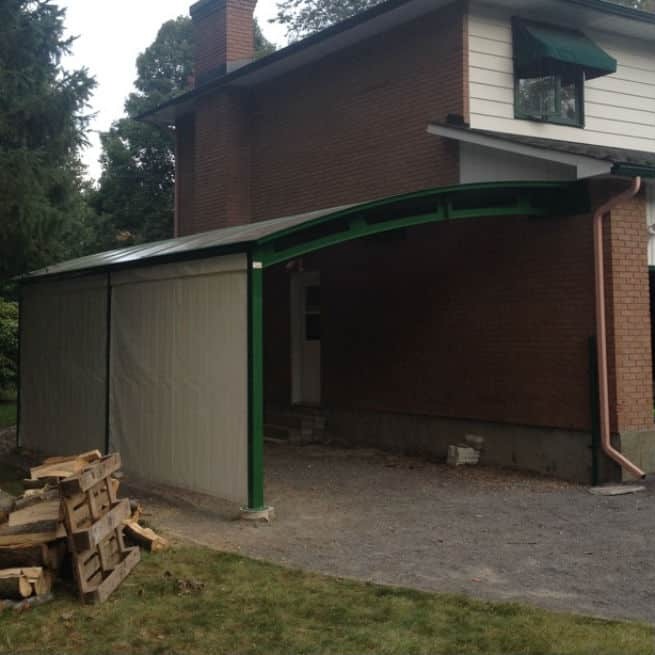 Or simply to ask a few questions about our company ?